Pretty rough way to go by choice. Sad no matter what the motive. How do we know if & how many tickets are still available?? Thanks! This my favorite show. It can be a bit tight as it Not as big as some other shows but lots of great vendors, custom bait manufacturers and good people all around. Hope to make it Sunday for a bit. They did but most have melted with the recent warm temps. Took The family Out to Matthiessen State Park for some hiking before the frozen waterfall melted and got some near pics. Thought some would enjoy. 👍 went to rams game last week. This D is the real deal. Niiiice Paul. I hope we have some decent days Christmas week I can take advantage of. Your right Paul. It takes a true passion for it and The peace and quiet of being out there alone with only Mother Nature is unmatched. Welp work took over my Friday and I never got out maybe between Christmas and new year I’ll hit you up. Oh most definitely I’ve seen his videos fishing rivers in horrible conditions! Love his passion for it. Solid! High flow + cold water = tough but extra rewarding if you can land a biggun. 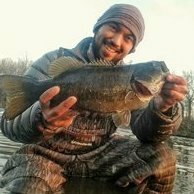 You kayak fish a lot During cold months? Cool idea.... I’ve been plotting for a winter float on the kayak this winter. Gathering all the data I can to find wintering areas and ways to stay warm while doing so. 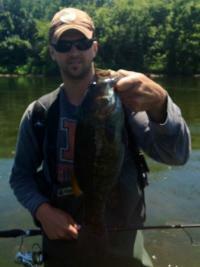 I need a January smallmouth yet.